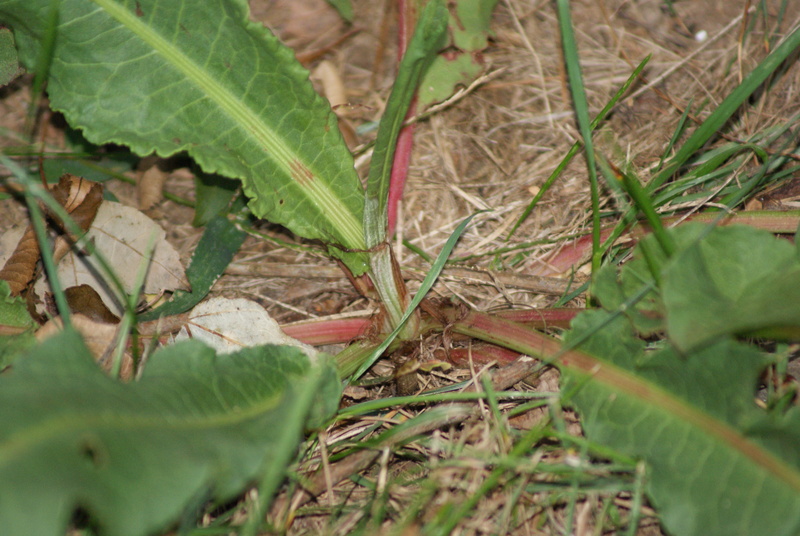 In just about every lawn and meadow you are bound to find some sort of Rumex species. There are several sources of food in this family of plants. 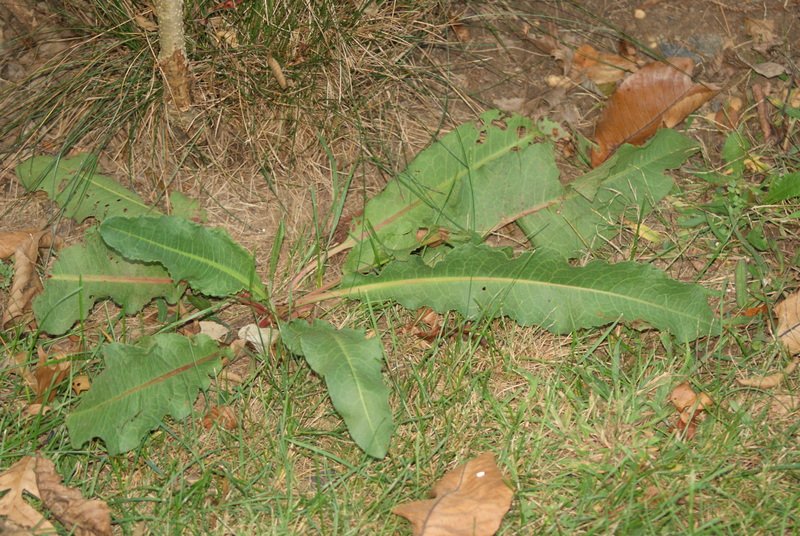 This article deals predominantly with Rumex crispus; Curly Dock, and R. obtusifolius; Bitter Dock. Not including burdock, (Articum spp) which is not in the Rumex family, Or Sheep Sorrel (Rumex acetosella) although sheep sorrel is indeed edible and delicious. Several Rumex species are high in vitamin c, vitamin a, protein, and iron, according to the USDA. Plants in the Rumex family all have a distinct characteristic of a papery sheath (ocrea) connecting the stem and each area of the leaf stem beginning a leaf, it starts out moist when young and becomes papery and less noticeable when dried, sometimes disappearing completely. Docks can be found commonly along roadsides, disturbed soil, meadows, lawns, and other inauspicious places. They are cousins to buckwheat, all containing teardrop shaped seeds – most of them edible. Broad leaf dock top, curly dock bottom. Notice that on the edge of the leaf of Curly Dock there is a wavy “crisped” margin and also its relative thinness and “lancelike” shape. This aspect distinguishes it from Bitter Dock aka broadleaf dock (R. obtusifolius) which has a slightly less wavy edge and much wider leaves, with often a red tinge in the leaf stalk and midrib that increases with age. Curly dock does not seem to get this reddish color in my observation. However, both species can be eaten and they are actually quite a substantial green. 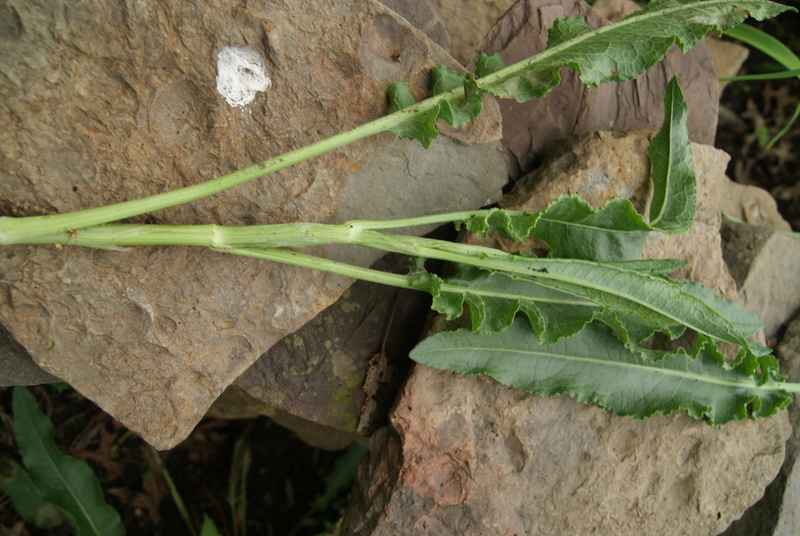 Curly dock is biennial, meaning they spring up a basal rosette the first year, then a stalk, flowers, and seeds the second year, and that winter it will die. Broad leaf dock is perennial, meaning that it continues to build a tap root year after year, creates a stalk to flower seasonally, and continues to grow in the same spot indefinitely. Bitter dock is well, bitter, to the equivalency of dandelion and other bitters. Bitter is medicinal, flat out. When cooked, spiced correctly, and added in the right food combinations it tastes just fine. The greens of curly dock are an excellent sour vegetable, picked young, until they grow a stalk and go to flower in mid-summer which gives way to a tannic taste which is potentially higher as well in oxalic acid. You will find increasing degrees of bitterness in the leaves as the stalk is growing, and after flowering they will especially become texturally tough and bitter. Nothing that cooking in a change of water won’t solve. It all depends on how hungry you are. Also in early winter, after the first freeze they again create new tender leaves that are good for eating but will turn progressively bitter as the winter progresses. For the second year plant the stalk of both species, when young and tender, can be peeled and eaten. When harvested at the correct time it has the potential to be tart, juicy, and delicious. The degree that you find the stalk hard, woody, or tough to chew, is the degree that it is past its prime. It takes a little getting used to being able to tell when it is in its prime. 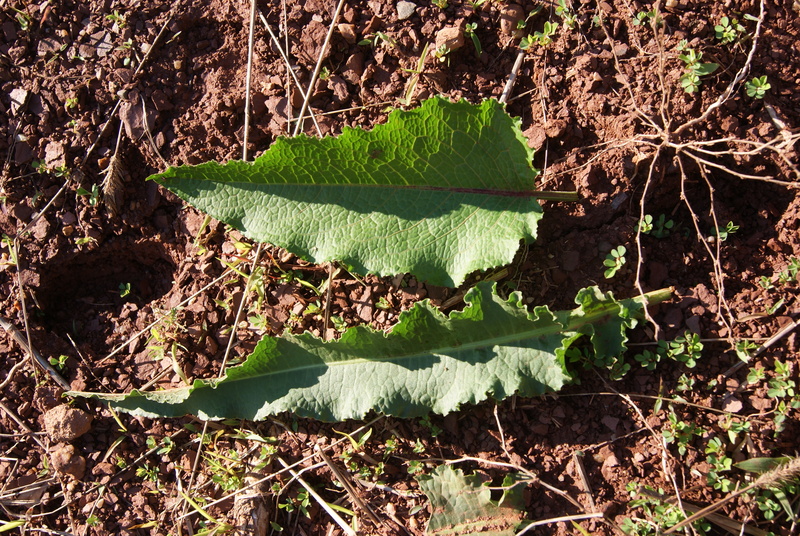 The photo shown here shows a good plant for leaves and stalk, yet the sheath between the stem and leaf is not present. The nutritional value of these 2 plants are quite high. 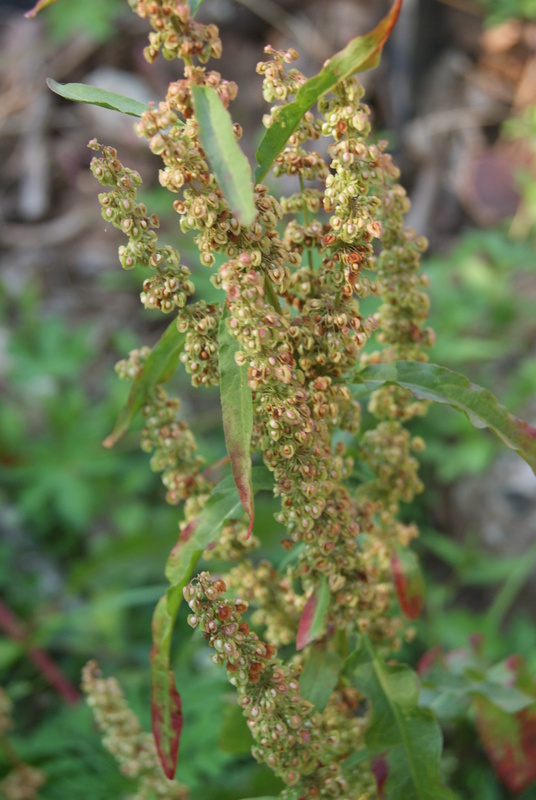 As mentioned above, both docks contain Several Rumex species are high in vitamin c, vitamin a, protein, and iron. The greens are known to have approximately 4 times more vitamin A than carrots. The human body converts carotene into vitamin A, this actually increases night vision. A Word of Caution. Eating too much of these greens can cause problems! There is some caution, which is possibly unwarranted about these plants due to a chemical called calcium oxalate. This chemical which is in several plants, such as spinach, is the chemical compound that a certain type of kidney stone is made of. In excessive consumption, or if you are prone to kidney stones you should limit your intake of calcium oxalate containing foods. So how much is too much? Special concern should be taken to anyone prone to kidney stones, as excessive amounts of eating plants with oxalic acid in them; spinach, sorrels, curly dock, can increase chance of kidney stones. A common way to identify this substance is that all of these plants have a sour taste. Otherwise if you don’t have that history in your life consider curly dock as you would spinach, eat it on occasion, and most importantly listen to your body, it will most likely tell you when you’ve had enough. You can dig curly dock roots in the spring and fall, identified only by their basal rosette which can be tricky to the beginner. 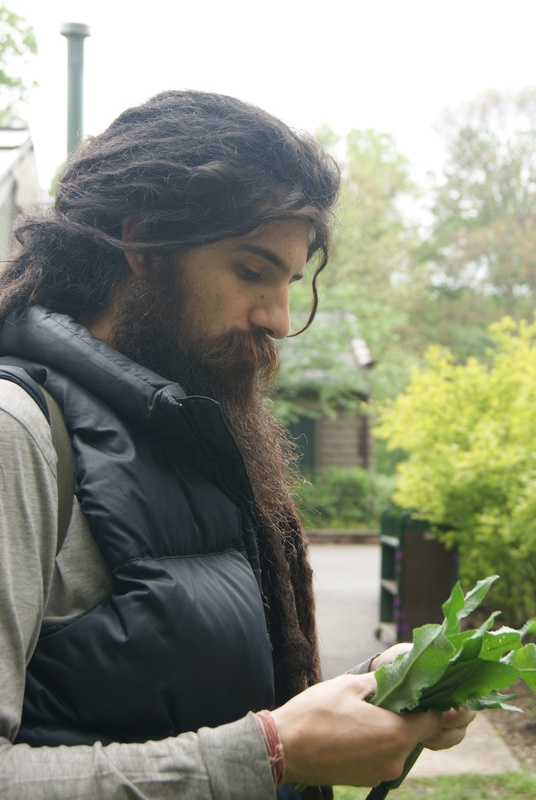 I recommend getting to know a plant for at least one year and observe its growth cycles and habitats continually. Once you have properly identified curly dock in its basal form you can dig the roots with a trowel, shovel, or digging stick, being careful to not break them on your way into the Earth. They can go on average 1-2 ft deep. Once you have successfully dug them out you can eat the leaves and use the root fresh. Or dry it for later use with minimal washing if you can bare it. That dirt has probiotics. As a woody root it makes a good decoction, tincture, or powder. Especially healthful is an infused root wine (see below). Curly Dock root is used to tonify the gall bladder and liver. It is a bitter tonic, astringent, gentle laxative, and alterative. Also called yellow dock, the yellow root helps to increase bile production which is also yellow in color. Increasing bile production helps the body in the detoxification of the entire system, the blood, and is also important for processing, and not storing fat and other wastes. In TCM (traditional chinese medicine yellow is associated with the stomach and spleen and this shows connection to yellow dock being indicated for strengthening digestive power. A common way of working with the medicinal aspects of curly dock root is to make a simple infused wine. You can take the fresh root and put it inside one of your favorite bottles of wine. Re-cork it and allow it to stay for a few days, then you have a curly dock root infused wine which increases the medicinal capacity of your wine. If you want a stronger medicine you can use your favorite organic alcohol and let it steep for a month. 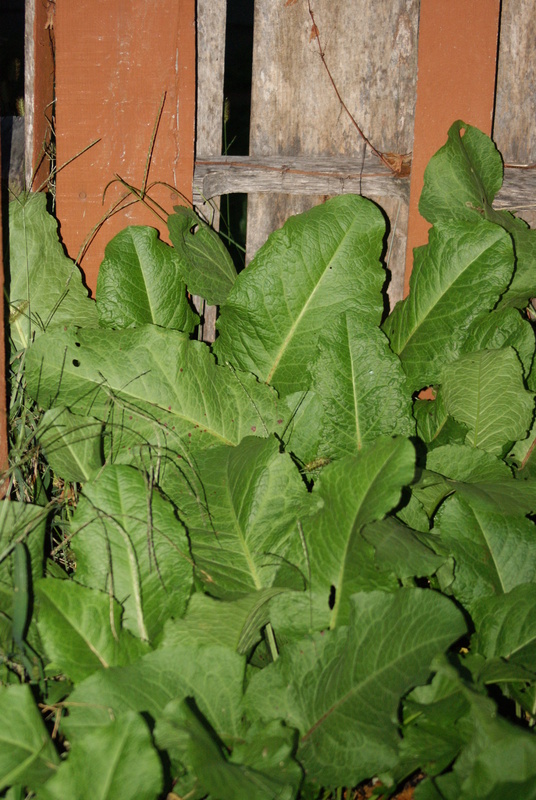 Curly Dock Seeds – Just starting to ripen. to harvest, let them get brown. Once the leaves hit your relative point of “inedible” then it’s best to wait to harvest the edible seeds related to buckwheat. How do you tell when the seeds are ready to harvest? With any grain just wait for the plant to brown and become dry then the seeds become easier to collect. Think of wheat fields which start green. From there you will have to winnow them the best you can, which is an art in itself. Often if we don’t try to be obsessive with every seed. We get less chaff and extra bits that we have to pick out later. There is still a shell to the seed that is more difficult to manage. A great thing about these docks is that the seeds can be collected in decent numbers in late summer or fall. Often foragers complain about the chaff and shell, which are very difficult to remove. Two solutions are posed. First is, grind it fine enough where you don’t mind eating the chaff and shell with the seed, which is mostly insoluble fiber. Insoluble fiber is basically what commercial laxatives are made of. Seed chaff or plant fiber helps us have fiber to make healthy bowel movements and is good in medium doses. It helps to scrape the intestinal walls of mucosal plaque which happens to be a very good medium for bacteria and virus such as Candida Albicans to proliferate. This is a great article. I do have a question for you about the medicinal quality. Can they Dock roots be tinctured? Either in EverClear or in Apple Cidar Vinegar? The only thing I have ever done with Dock root is to add it to a vinegar mixture with other ingredients to make a sort of salad dressing for a wild plant salad. dock can be tinctured. and with any tincture its important to break it up small. apple cider vinegar works mostly for extracting minerals, which can be good for roots. alcohol extracts alot more but turns to sugar in the body. I have a whole bunch of broad leaf docks in my backyard and I am wondering does its roots posses the same medicinal properties of the yellow dock ? Can I harvest the broad leaf roots and make a tincture out of them? Thank you I really enjoyed this article. I really enjoyed all the information about dock, I have been encountering it a lot lately… Or perhaps it is calling out to me. Any way I was wondering if there are any concerns toward using dock while breastfeeding? Hey Reisha, I would suggest that when curly dock is young and in its basal form, [vs having a stem and picking leaves off of the stem] it would be the oxalate equivalent of eating beats, swiss chard, or spinach. I have a farm in France with around 70 acres of pasture and have until now considered docks to be an irritating weed which causes a lot of hay waste (the cows nose it out, wasting good hay along with it). Now I am going to be looking at my old nemesis with eyes opened to your wisdom! It is late summer here so I am going to collect stacks of seeds for sprouted greens (why buy sprouting seed if I can harvest my own for free?). Next year I’ll try the young leaves both fresh and cooked – really looking forward to it! Great to hear your eyes have been opened to a potential food source instead of an enemy!